Multiple ARIA award winner & multiplatinum singer/ songwriter, Delta Goodrem wowed a global audience tonight with her incredible performance of ‘Welcome To Earth’, a song that Goodrem especially wrote for the Gold Coast 2018 Commonwealth Games (GC2018). ‘Welcome To Earth’ is available to download on iTunes right now, on Spotify from 11pm AEST and all other digital partners from 12:01am on Thursday April 5th. To pre-order the physical single, head to deltagoodrem.com and SANITY.COM.AU now, and JBHiFi.COM.AU on Thursday April 5th (with all orders being received w/c April 16th). GC2018 runs from Thursday April 4th until Sunday 15th, and will welcome more than 6,600 athletes and team officials from 71 Commonwealth nations and territories to the Gold Coast and event cities Brisbane, Cairns and Townsville, to share in the celebration of sport, entertainment and culture. Tonight’s opening ceremony invited viewers from all over the globe to Share The Dream, the theme of this year’s Games, and Delta’s performance of ‘Welcome To Earth’ certainly was a perfect fit to this narrative. “As a proud Aussie and passionate supporter of sport and all the talented athletes taking part in the games, I was humbled and honoured to be a asked to perform at this once in a lifetime moment. It’s so exciting to have the world’s eyes on our talented athletes and to be able to showcase the beautiful Gold Coast to the rest of the world. 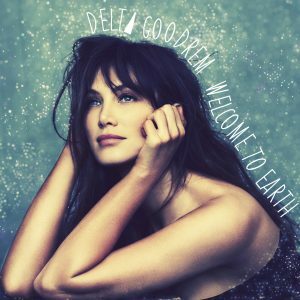 Sport, like music is so unifying, ‘Welcome To Earth’ is my way of paying tribute to all the athletes and hopefully it resonates with people from wherever they are in the world.” Delta Goodrem. Performing with a choir of 70 and 15 drummers – all representative of the 71 nations and territories competing in the XXI Games – ‘Welcome To Earth’ started with Delta in the middle of Carrara stadium in the sand – which had been turned into an inland beach for the opening ceremony, and continued to build as she sang walking through the surrounding athletes on the field to the crescendo of the song, whilst being joined by her amazing professional and local volunteer cast.